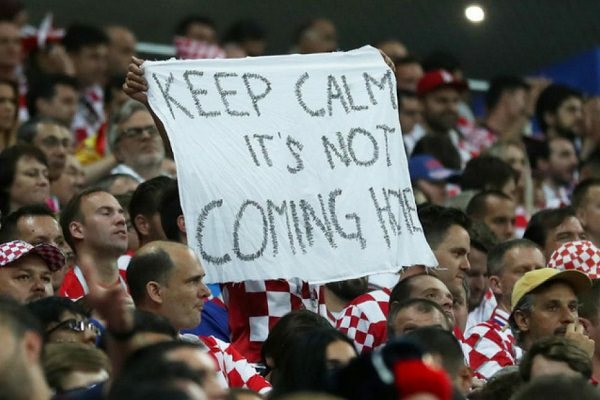 Mean but accurate: those guys predicted Hrvatska’s first semifinal win in history. Ireland, Scotland and Wales celebrating; England’s alcohol consumption hitting record levels. Perišić’s high boot turning the dream into a prolonged nightmare; Mandžukić’s finish ending both for good. After yesterday, the most bizarre World Cup since 2002 has been restored to factory settings. Namely: to Three Lions not getting anywhere near the grand final. Things were going so well for them. The splendid story started two years ago, at Wembley, where permanently injured Daniel Sturridge and arrogant starlet Dele Alli gave them a fairly modest 2-0 win over Malta. In the following thirteen months, the team stormed through the qualifiers – undefeated and capable of rescuing a last-minute equalizer at Hampden Park, against sworn enemies from Scotland. 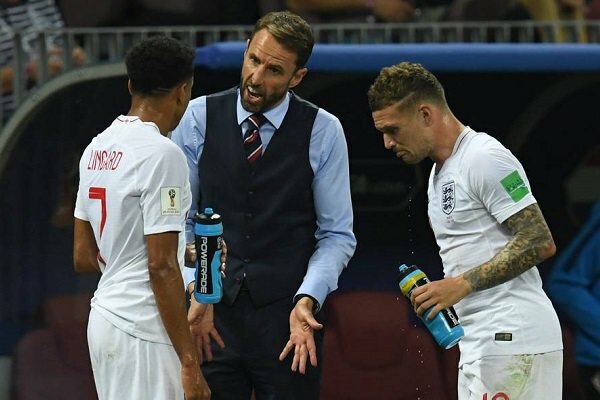 After a decade of resignation and derision, the reasons to be hyped about English national football team finally went beyond a couple of well-known Premier League names. 500 days into Gareth Southgate’s four-year contract, a semblance of a proper powerhouse has arrived – just in time to challenge for the World Cup. In many ways, England fulfilled the expectations. After all, the horror of the opening game against Tunisia only happened because Wilmar Roldán refused to call two penalties on Harry Kane. A week later, Albion gunned down Panama in a devastating fashion and soon lost to Belgium in a match that nobody had business winning. Afterwards, Colombia’s last-gasp equalizer could’ve been costly but ultimately, it’s Southgate’s lads who performed better that day and they followed it up by dispatching Sweden – again, from a position of strength. With Brazil, Germany, Spain already at home, hopes went higher and higher. The phrase “it’s coming home” gained more notoriety than “Bob’s your uncle”. Meanwhile, the likely and unlikely heroes just kept on emerging. Even reduced to scoring penalties and tap-ins, Harry Kane still equalized Gary Lineker’s record of six goals at a single World Cup. His namesake, Maguire, carrying less than a dozen of England appearances under his belt, has been a set-piece battering ram at both ends of the pitch. Wing-back Kieran Trippier only cemented his reputation as one of the best crosser in the world. Jesse Lingard and Dele Alli were getting more and more comfortable in central midfield roles despite not using the 3-5-2 formation at Manchester United and Tottenham, respectively. 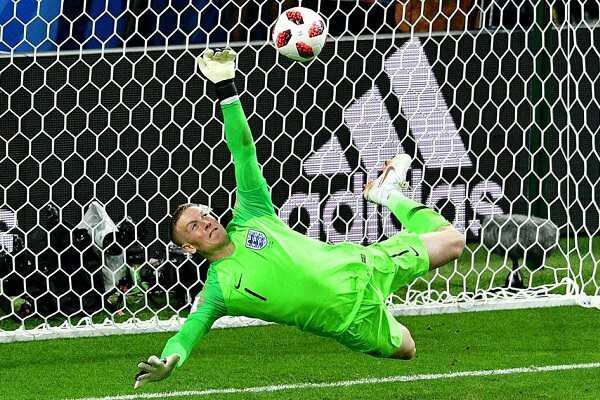 In goal, Jordan Pickford single-handedly reversed the tradition of his team going home after a penalty shootout. No more David Seamans and Robert Greens – this year Jordan Pickford set a new standard. On Wednesday night, the fairly tale continued for more than a while. Trippier’s free-kick sealed England’s early advantage and their enthusiastic approach in the first half brought back the impressions from the Sweden match, which could’ve and should’ve been won by four goals or more. Croatia, undoubtedly feeling the weight of two previous, extra-time slugfests, were not very threatening out wide. The likes of Rebić and Mandžukić, who orchestrated their attacking efforts in Russia, struggled to get past Ashley Young and John Stones. After the break, England should’ve been 2-0 up after Harry Kane picked up a pass seven yards away from the goal. He could’ve squared it for Sterling. He hit Subašić instead. In the end, it’s the experience with some luck on the side that triumphed. The Croats picked up the pace after the break, just when their opponents started to run out of steam. Luka Modrić took charge of the passing, misplacing only two out of 37 balls he spread in the second half. Perišić’s high-boot equalizer should’ve been chalked off for dangerous play but given that he hit the post just couple of seconds later and that Jordan Pickford had to intervene several times, England have seen that goal coming from miles away. And when Mandžukić outwitted John Stones in the extra time, there was simply no answer from the team that didn’t have to stage a comeback since September 2017, against Slovakia. Perhaps it’s the transformation of Dele Alli, Raheem Sterling and Jesse Lingard that caused Three Lions’ attacking play to be so set-piece oriented. Last season, those two had 35 Premier League goals between them and earned the reputation of not just skillful dribblers but also fairly selfish – but efficient – finishers. Sent to Eastern Europe, they’ve lost most of that cutting edge. That way, Alli has only managed to amass five shots in the whole tournament; Sterling piled up eight and did not score once. On the other hand – Lingard, responsible for a quite terrible miss yesterday, had 18 attempts and merely a single goal. Those are hardly the numbers worthy of the World Cup winners. There is still hope, though. Regardless of the Saturday result, this side has provided more positives than it’s star-studded predecessors. Southgate has to be credited with putting petty club rivalries to rest and, of course, for coaching his players how to get the most out of the free-kicks and corners. Also, despite losing ground to Croatia from a purely footballing point of view, English players have shown stern determination through 120 minutes. The moment when painfully knocked down Kyle Walker stood up to head away incoming cross told the tale; with more of those at the other end of the pitch, the homeland of football might’ve seen Moscow as a much luckier place than it turned out to be. Did someone see Walker cry in pain, get up and clear with a strong header and then go back down. My hero this lad. “To become a winning team there are hurdles you have to overcame – and we’ve surpassed many of them. Many of our players have come of age on the international stage.” – is the manager’s conclusion after dropping to the 3rd place match. And perhaps that’s the most sobering statement of them all. Traditions, money and league reputation aside, we’re still talking about a national team that’s only won one World Cup and made the semifinals for the first time in 28 years. Even Croatia has a more recent, big-stage medal. Those are the levels of international achievement that cannot be ignored.